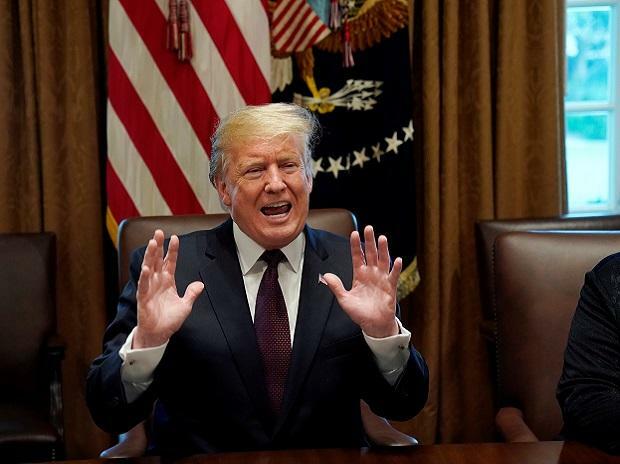 The likelihood of a court fight over President Donald Trump's tax returns grew on Wednesday when the U.S. Treasury Department said it would not meet a deadline set by Democratic legislators to provide them and Trump himself stuck to his refusal to publicly release the documents. U.S. Treasury Secretary Steven Mnuchin, in a letter to the Democratic chairman of the House of Representatives tax committee, said the panel's request for Trump's tax information "raises serious issues" and Treasury needed to consult with the Justice Department "to ensure our response is fully consistent with the law and the Constitution." "The Treasury Department will not be able to complete its review of your request" by the Wednesday midnight deadline, Mnuchin told House Ways and Means Committee Chairman Richard Neal in the letter. "The legal implications of this request could affect protections for all Americans against politically-motivated disclosures of personal tax information, regardless of which party is in power," Mnuchin said. Businessman Trump, however, in the four years since he declared his candidacy for president, has consistently refused requests by politicians, journalists and others to release his tax returns. He has said he would not do so while they were under audit, but tax and legal experts have said that an audit should not prevent their public release, a practice presidents have followed for decades. In a statement, Neal said he will consult with counsel and determine the appropriate response "in the coming days." Democrats want to review Trump's returns chiefly as part of their investigations into possible conflicts of interest posed by his continued ownership of extensive business interests even as he serves the public as president. Republicans oppose release of the returns, arguing that it would politicize tax data. The returns of U.S. taxpayers are generally held as confidential by the Internal Revenue Service (IRS), which is part of the Treasury Department. "There is a high likelihood this ends up in the courts, which is, in a way, unusual because typically when there's a request like this by Congress, the matter is settled more politically with a compromise," said Jessica Levinson, a professor at Loyola Law School in Los Angeles who specializes in political process law. "But in this case both sides have really dug in." Legal experts have said that little case law would be available to guide judges if Congress were to take the administration to court over the issue. Asked about the matter on Wednesday, Trump once again said his tax returns were being audited by the IRS. "I would love to give them, but I'm not going to do it while I'm under audit. It's very simple," Trump told reporters. Neal last week requested six years of Trump's personal and business returns from the IRS, invoking a seldom-used law entitling him to make such a request. Mnuchin said in an interview on CNBC television on Wednesday that it was appropriate for his agency to consult with the White House counsel on Neal's request. Mnuchin had said on Tuesday that Treasury Department lawyers had held "informational" discussions with the White House about an expected request for the returns, a step that Democrats criticized as uncalled for under the law.